BARABOO, WISCONSIN; (March 17), 2017: Baraboo, Wisconsin, the hometown of the Ringling brothers and their circus empire, will roll out the red carpet to the performers and employees of Ringling Bros. and Barnum & Bailey with a special Circus Homecoming, July 20-23, 2017. The four-day event will celebrate the people who have made The Greatest Show On Earth an iconic brand and the world’s preeminent circus. Ringling Bros. and Barnum & Bailey personnel will also serve as the grand marshals of Baraboo’s Big Top Parade on July 22. The four-day Circus Homecoming is sponsored by Circus World, the International Clown Hall of Fame, Al. Ringling Theatre and the Baraboo Area Chamber of Commerce in association with the Ringling House Bed & Breakfast, Al. Ringling Mansion, Sauk County Historical Society and the citizens of Baraboo. Circus Homecoming events open to the public will begin on Thursday, July 20. At 7:00 p.m. on Baraboo’s historic downtown courthouse square, a traditional circus band concert honoring the glorious music from the big top. The concert will feature Professor Gerald Stich and his Original Circus Band, as well as musical performers from The Greatest Show On Earth. Prior to the concert at 5:00 p.m., there will be a two-hour Evening on the Al. Ringling Mansion Veranda, featuring live entertainment. Activities on Friday, July 21 will include an 11:00 a.m. guided tour of Baraboo’s Walnut Hill Cemetery where four of the Ringling brothers and other circus luminaries are interred. Following a 5:00 p.m. to 7:00 p.m. Evening on the Al. Ringling Mansion veranda, the 1952 Oscar-winning best picture, “The Greatest Show On Earth,” will be shown on the big screen at 7:00 p.m. at the Al. Ringling Theatre. On Saturday, July 22, audiences will be entertained by a Clown Antics street performance in front of the International Clown Hall of Fame beginning at 9:45 a.m. Then, at 11:00 a.m., the 5th Annual Big Top Parade will take to the streets of downtown Baraboo, with Ringling Bros. and Barnum & Bailey employees serving as grand marshals. The parade will feature antique, horse-drawn circus wagons from Circus World’s unequaled collection, animals, bands, community floats and this year, due to Ringling Bros. and Barnum & Bailey, the grandest assemblage of clowns on the planet. On Saturday at 7:30 p.m., performers from The Greatest Show On Earth will showcase their talents on the stage of the restored Al. Ringling Theatre for a one-time-only presentation of “Sawdust, Spangles and Dreams.” Proceeds from this event will benefit the Circus Traveling Show Retirement Project & Showpeople’s Winter Quarters, as well as International Clown Hall of Fame, the Al. Ringling Theatre and Circus World. There will also be another Evening on the Al. Ringling Mansion Veranda from 6:00 p.m. to 10:00 p.m. Circus Homecoming festivities conclude on Sunday, July 23 with an interfaith, non-denominational circus mass at the Al. Ringling Theatre at 9:30 a.m., followed by an Ice Cream Social at the Ringling House Bed & Breakfast from 1:00 p.m. to 4:00 p.m. Throughout the Circus Homecoming weekend, Circus World will be open with an array of live shows, tours and programming. The one-price admission includes circus performances, concerts, demonstrations, comedy shows, animals and interactive children’s programming– 10 daily shows in all. This year’s Big Top Circus Performance, presented under a real big top tent, stars an international cast of artists in “That 70s Circus,” a tribute to the far-out, funkadelic 1970s. 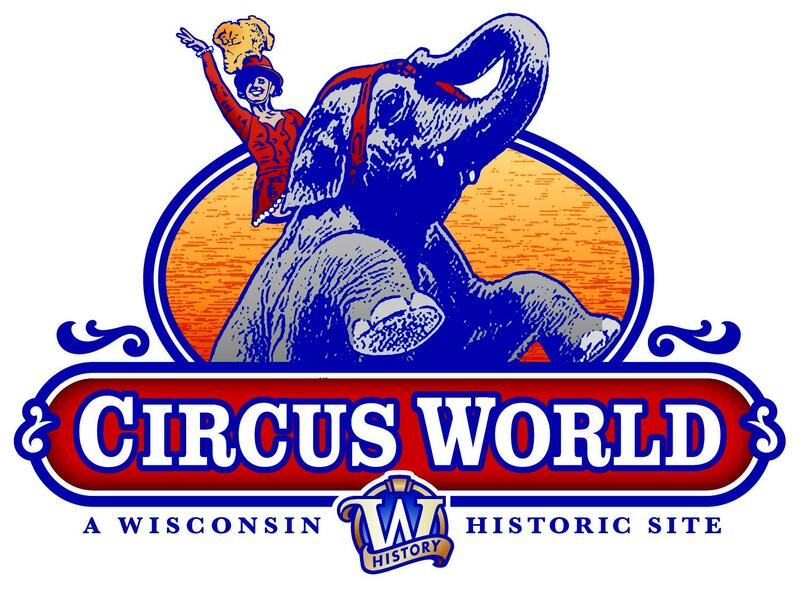 Located on 64 acres along the banks of the Baraboo River, Circus World collects, preserves and presents the colorful and rich heritage of the circus. Owned by the Wisconsin Historical Society, Circus World preserves the buildings that once comprised the Ringling Bros. Circus’ original winter quarters, now designated a National Historic Landmark, as well as the world’s largest collection of mammoth antique circus wagons, many of which are decorated with elaborately painted scenes and gilded wood carvings. Performances, shows, films and tours will also be available throughout the weekend at Baraboo’s other premier circus attractions, including the International Clown Hall of Fame, Al. Ringling Theatre, Al. Ringling Mansion and the Ringling House Bed & Breakfast. For more information about the Circus Homecoming, contact Circus World at 866-693-1500 or visit www.circusworldbaraboo.org.